This was the first thing I started making for our recent Eurovision party, being skilled at planning ahead I bothered to read the recipe card sometime before the party started so this got the chance to rest for the couple of hours it specifies. Lots of things seemed to go wrong with this, the quantities seemed off, I seem to remember reducing the amount of capers and thanks to a shopping omission didn’t add the chives until a lot later. When I first tasted the dip it struck me as one of the least appealing things ever – the potential of the separate parts had combined to form a disgusting looking and tasting goo. It was horribly sharp and I considered going off-recipe simply so as not to horrify my guests, but was utterly lost as to what would sort it out, so shoved it in the fridge as if the fridge was magic and would somehow transform this mess into something edible. In which health-giving spinach is mixed with white flour, butter, salt, anchovy sauce and then fried. 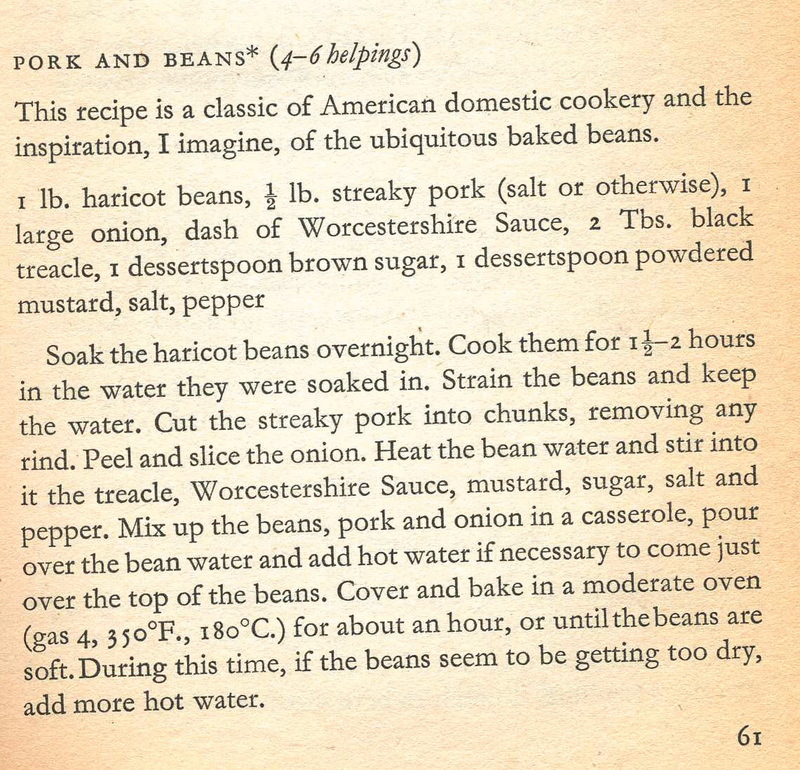 (From Beverly Pepper’s Potluck Cookery, Faber and Faber, 1955). This is from Family Circle Home Entertaining published by Albany Books in 1980. With chapters such as ‘Wine Sense’, Giving a Cheese and Wine Party’ and ‘A Wedding Buffet Planned at Home’ it offers everything necessary for one to entertain on a large scale and if this sample recipe is anything to go by it also offers everything necessary to make sure that your guests will think twice before accepting an invitation to future soirees. This is from Make a Meal of Cheese, published in 1973 by the Cheese Information Service (no, really, it’s a thing). The introduction briefly outlines the history of cheese and describes a few UK specialities such as Stilton, Cheshire, Wensleydale, Derby, Dunlop, Caerphilly etc. Ignoring, as this book does, the wealth of foreign cheeses, it was with some surprise I read the following ‘All the cheese referred to in the recipes is of the hard-pressed type, usually Cheddar, because this variety is most suitable for use in cooked dishes’. C’mon! A cheese cookbook where they only use Cheddar? This is demented. So it was with some trepidation that I browsed the recipes, and rightly so. I would like to add at this point that I love cheese, and will eat it in many divers, varied and challenging contexts. Make a Meal of Cheese goes too far. Perhaps at a later date I will be brave enough to try the Somerset Cake – a sponge cake with a raspberry jam and grated cheddar filling, but right now just reading this recipe destroys any appetite I may have. There’s also Savoury Welsh Surprise (anyone who’s thinking this might be one that features a Welsh cheese rather than Cheddar must steel themselves for disappointment). This dish is leeks rolled in ham, baked in a cheddar sauce. Horrifyingly this recipe ends with this tip: For a change, try substituting bananas for the cooked leeks. An exciting combination. Dangerously exciting, if you ask me. I’ve ransacked Potluck Cookery (Faber & Faber, 1955) again for a fridge clear-out dish.